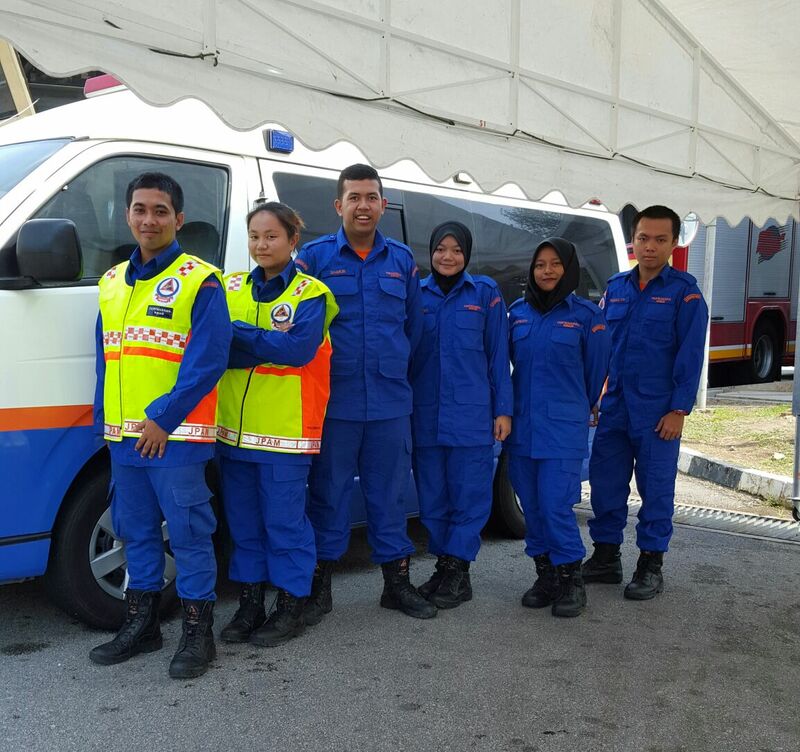 Cyberjaya, 1st August 2016 – Students from Cyberjaya University had the unique opportunity to experience first-hand and participate directly in the nationwide emergency response operations during the recent Eid festival. These twenty-two Diploma in Paramedical Science students joined the Malaysian Civil Defence Department (Jabatan Pertahanan Awam Malaysia, JPAM) as part of their university-industrial training module. Cyberjaya University students participated in JPAM Ops Bantu during Eid festive. This module aims to expose students to life as a paramedic and train for them to manage challenging situations. They were part of the government’s nationwide Ops Bantu JPAM during the Eid festive season from 2nd to 10th July 2016 and were posted for duty at Tol Bukit Mahkota to Seremban and Tol Senawang to Nilai. 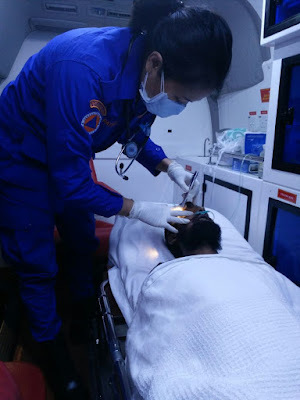 One of the Diploma of Paramedical Science students, Mohd Iskandar Zulshah said "It is a great experience to be able to help public during emergency and panic situations while learning new things at the same time”. They were excited to share their first-hand experience working with paramedical professionals from JPAM. One of the participants checking the patient in an ambulance. The team had the opportunity to help victims of road accidents as well as other emergencies. 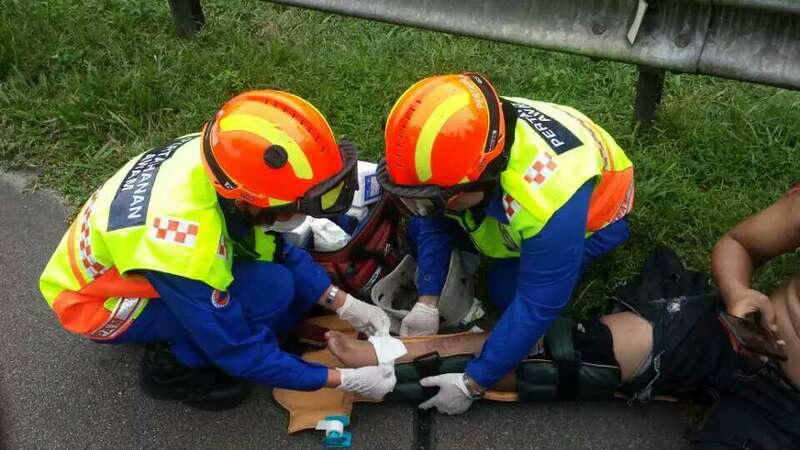 In one the cases, they responded to, an accident victim near Bukit Jalil suffered from hematemesis and unable to stretch his knees. Professional and dedicated care was quickly provided to ease the patients suffering until transfer to a hospital. Meanwhile, another student Ahmad Shakur Aslam had a different kind of experience, a reptile-related emergency. They were called to respond to a desperate call by a homeowner in Taman Seremban Jaya who reported finding a snake in his house. The team eventually caught the culprit, a copperhead rat snake (C. radiata) which was thankfully not venomous to humans. Participants helping a victim of an accident at Bukit Jalil. Prior to the start of Ops Bantu, these students were involved in the preparing and distributing porridge to civil servants at neighbouring police stations, Fire station and orphanage home for Iftar. Students at Cyberjaya College are passionate for community programme that is in line with our value, nurturing passion to care. Students helping a patient who had hematemesis and unable to stretch his knee in Bukit Jalil. Nik Mohd. Kamil, a Medical Science University instructor had praises for the dedication shown by the students. He expressed an appreciation for the opportunity to work with JPAM. Medical Science College has long advocated for close collaborations between the university and its various clinical and training partners. These academic-industry partnerships are vital to ensure Cyberjaya University Malaysia students are well prepared for the rigours and demand of their working life.